Intrinsically non-explosive, our fibre Bragg grating sensors are the ideal choice for leak detection and temperature or strain monitoring in explosive environments. 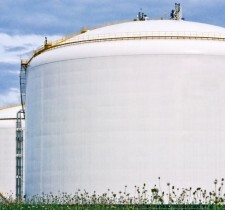 Our sensors and measurement units were therefore selected for monitoring gas leaks in three LNG tanks of 110,000 m3 in the south of France. 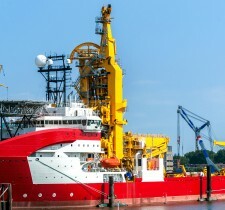 SCAIME ensures compliance with legal requirements for health and safety at work. 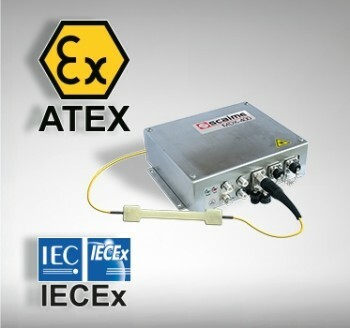 SCAIME has opted to obtain ATEX and IECEx certifications for its fibre-optic measurement solutions in order to meet the growing demand for monitoring structures in hazardous zones. These certifications enable the use of Bragg grating sensors in the presence of flammable liquids or combustible vapour, gas or dust.